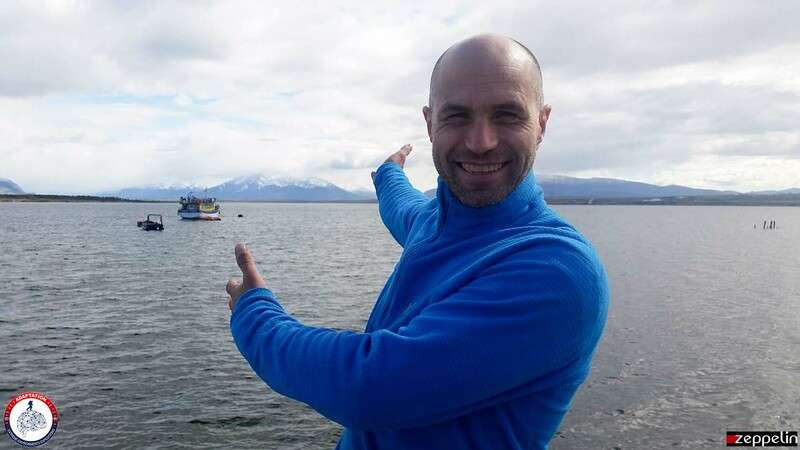 Christian led several previous expeditions in Patagonia and it is with great pleasure that he will return to his favorite playground. It’ll give him the opportunity to learn some more about this area at the end of the world. Between the Hielo Continental and the Pacific waters, winds and melting ice have created a region between two worlds. A world of land and water, made up of hundreds of channels and thousands of islands, which are covered by such a dense forest that it most often prevents landings. A world of raw beauty, where life is difficult, it remains the least explored area of Patagonia. A real maze! Such is the character of these channels, seños, gulfs and dark and cold fjords that extend, in an indescribable labyrinth, into the center of the glacier Hielo Continental. Welcomed by constantly low temperatures, high humidity and one of the highest rainfall recorded worldwide, more often than not travelers give up and retreat. English, then Chilean, surveys have produced some good. Even then, in many areas errors abound, while other sections are simply still uncharted. Once the traveler leaves behind the main channels, used by shipping vessels, he finds himself far away, isolated in a world where everything remains to be discovered. The constant humidity has given rise to a lush primary forest, varied, ever changing and often impenetrable! Because studying it is so difficult, it may be one of the least known environments of the world. This is realm is of dolphins, sea lions, whales, albatrosses, cormorants and huemules (Patagonian deer). However, these channels have once been inhabited: It was the land of the marine tribe of the Kaweskars. These seafaring people lived a nomadic life. Much of their food was acquired from the sea in the from of fish and shellfish. They also sometimes hunted deer. Most of their time was spent aboard their wooden canoes in which they always maintained a burning fire. Given that they lived naked, this fire was absolutely critical as it was their only source of heat. Alakalufs, or Kaweskars, ranged across the whole Strait of Magellan, travelled through the fjords all the way to Wellington island, where Puerto Eden is now located, and on the banks of the Hielo Continental reaching sometimes even further North. They called themselves Kaweskars, which in their language means “Men.” Little is known about the relationship they maintained with the inland tribes of the Yamanas and Tehuelche. In the few places where the mountains are not too high, such meetings may have occurred. But they’re must have been very few and the Kaweskars mainly lived in total isolation until the arrival of the White Man. From the 1850s, their population declined rapidly due to western diseases compounded by the reduction of their land. By the 1st quarter of the 20th century, they has nearly totally disappeared. The route of ADAPTATION Patagonian stage will cross the historical land of the Kaweskars.